Orders are officially being taken for Porsche’s latest plug-in Cayenne – the E-Hybrid. Utilising the electrified tech already fitted to the hybrid Panamera 4, it gets a significant power boost and a more impressive electric-only range than the outgoing model. Featuring a 3.0-litre V6, the E-Hybrid can sprint from 0-62mph in 4.7 seconds and go on to a top speed of 157mph. 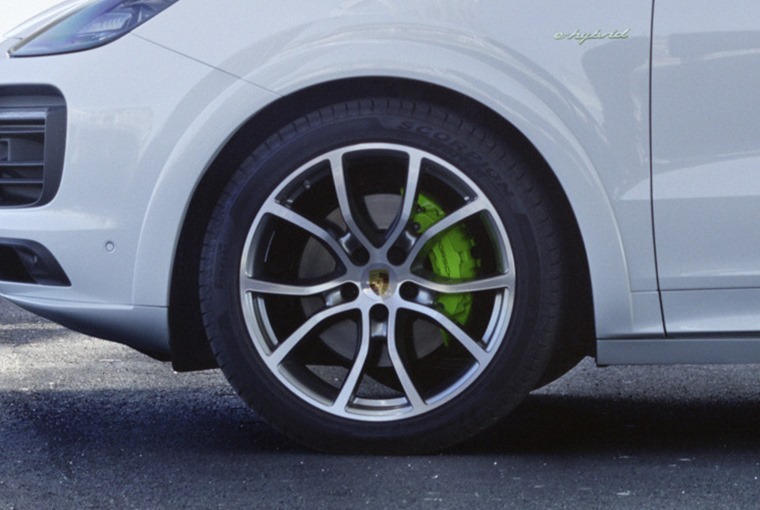 Porsche claims figures as high as 69.2mpg are attainable, with electric-only range standing at 27 miles. 83mph can be achieved using the electric motor alone. Official mpg stats are to be confirmed, but the 14.1kWh battery pack can be charged in 2.3 hours if you plump for the 7.2kW on-board charger option. If not, full charge can be achieved in 7.8 hours via a three-plug 230V domestic plug socket. Porsche’s Charging Service is also available via a smartphone app, which allows drivers to easily access charging stations across Europe without the need to log in to the provider’s system – you are instead billed directly through Porsche’s app. 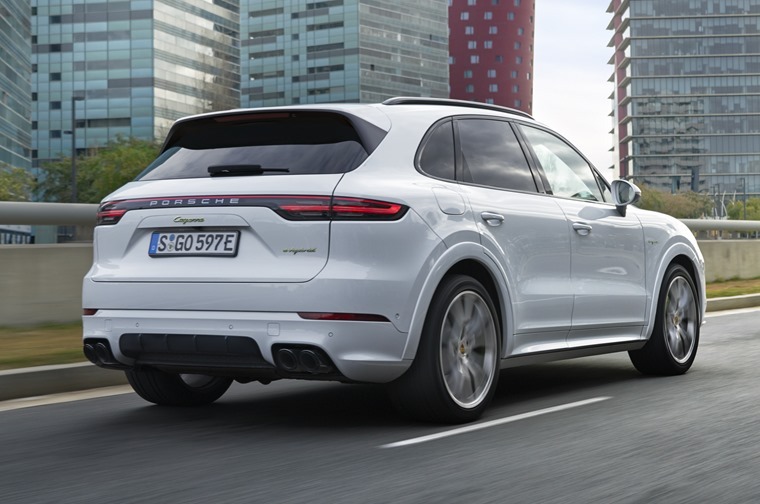 The petrol V6 gets a 7bhp power boost to 335bhp, while the electric motor produces an impressive 135bhp – a significant increase compared to the previous Cayenne E-Hybrid. Combined, they produce 456bhp and a whopping 700Nm of torque. Thanks to clever tech, the latter can be deployed from standstill, meaning throttle response is near instantaneous. All E-hybrids feature an eight-speed automatic gearbox, which on the E-Hybrid gets a revised clutch set-up for quicker shifting. On the outside, not much sets it apart from the rest of the Cayenne range, although the brake calipers are painted bright green and you’ll find hybrid badges dotted around the exterior. A newly introduced set of 22in alloy wheels feature, too. 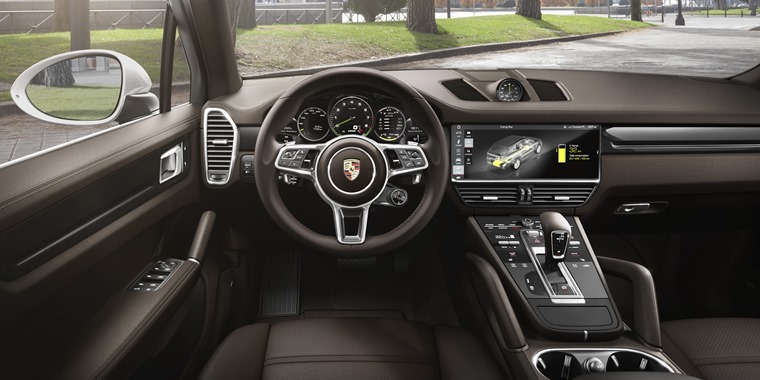 The car is equipped with online navigation, the Sport Chrono Package, Porsche Active Suspension Management and independent climate control as standard. 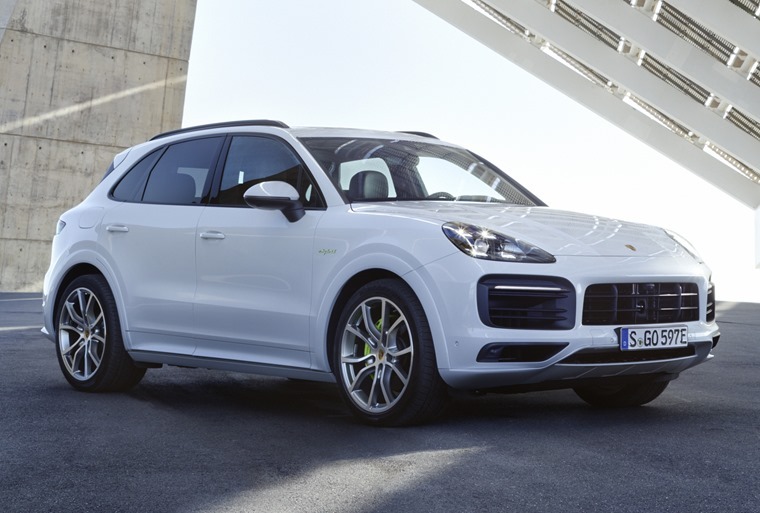 Elsewhere, the new E-Hybrid benefits from the same updates as the rest of the latest Cayenne range. Additional options now include enhanced Driver Assist packages, an improved adaptive cruise control system, LED Matrix headlights and a colour head-up display. The E-Hybrid is priced from £67,218 – more than £10,000 more than the entry-level Cayenne and around £1,000 cheaper than the S variant, even though it’s quicker than the latter. 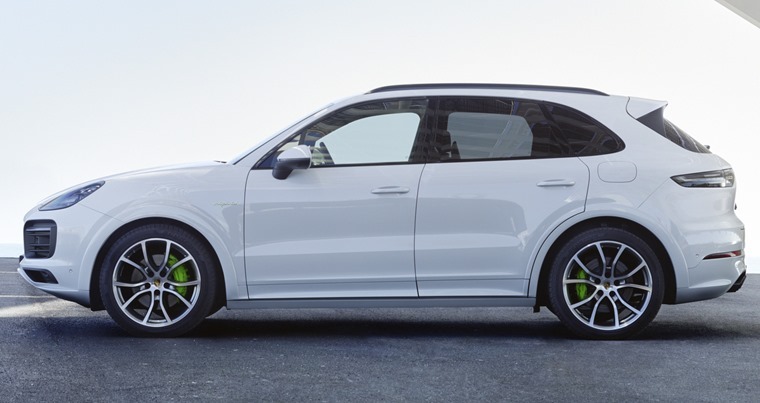 Lease rates are expected to be announced soon, but if you can’t wait for the new variant, you can still find deals on the outgoing Cayenne E-Hybrid by clicking here.